Ever since I bought too many avocados for our own good, I’ve naturally been on an avocado kick. We’re finally down to only two avocados in our fridge (started with…10?) 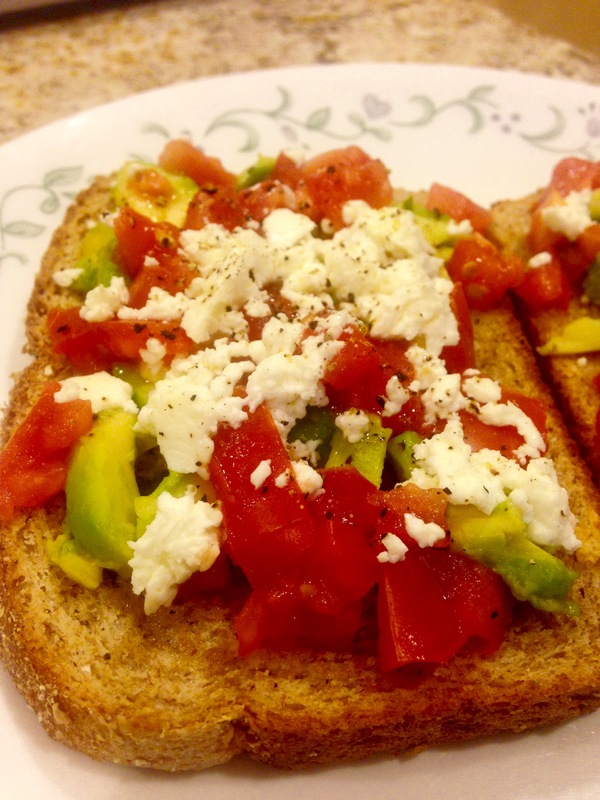 thanks to this awesome bruschetta and some other recipes I’ll be posting here in the next few days. I so wanted to make my own garlic butter (it’s really easy, just blend minced garlic and butter), but naturally, we ran out of butter at the last minute. As sad as I was, I decided our no-butter situation was probably for the best (I guess there’s enough fat in avocados anyway) and instead sauteed the garlic in olive oil for a few minutes until soft. I then brushed olive oil on each slice of bread, topped with the sauteed garlic + salt / pepper and toasted for a few minutes at fairly low heat until crunchy. Now for the fun part. 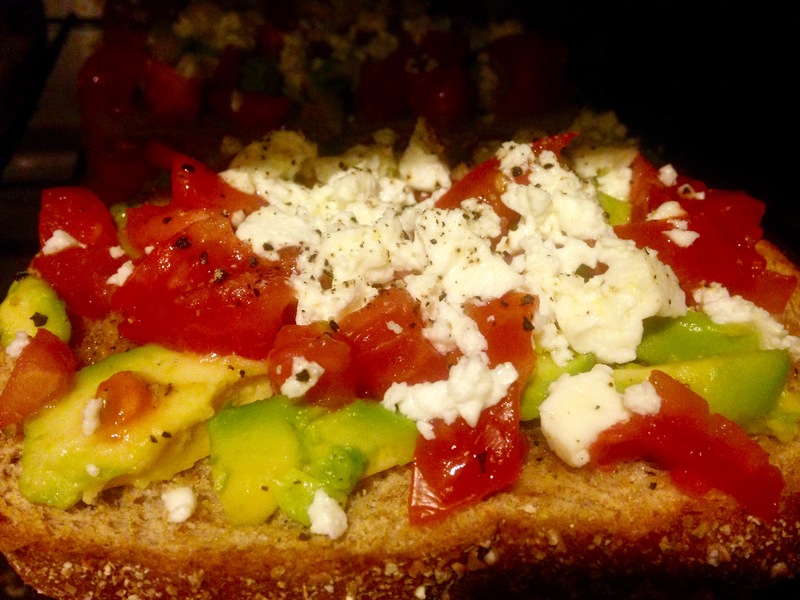 I chopped up the tomatoes and avocados and started layering them on each toasted bread slice. 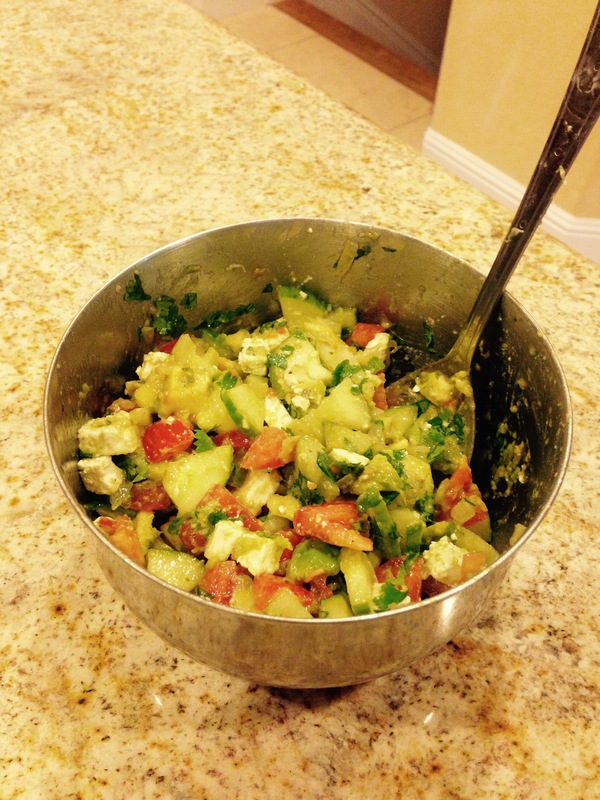 Avocados first, then tomatoes, topped with crumbled feta, drizzled with olive oil, and some more salt + pepper. Seriously, it is so much fun. 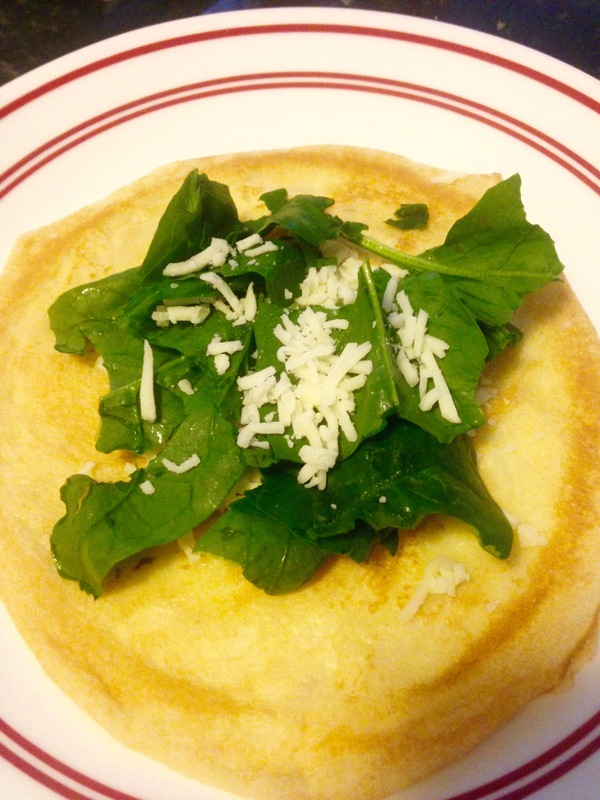 If you know me well, you know that spinach and cheese are two of my most favorite food items, and they’re even better together than apart sometimes. 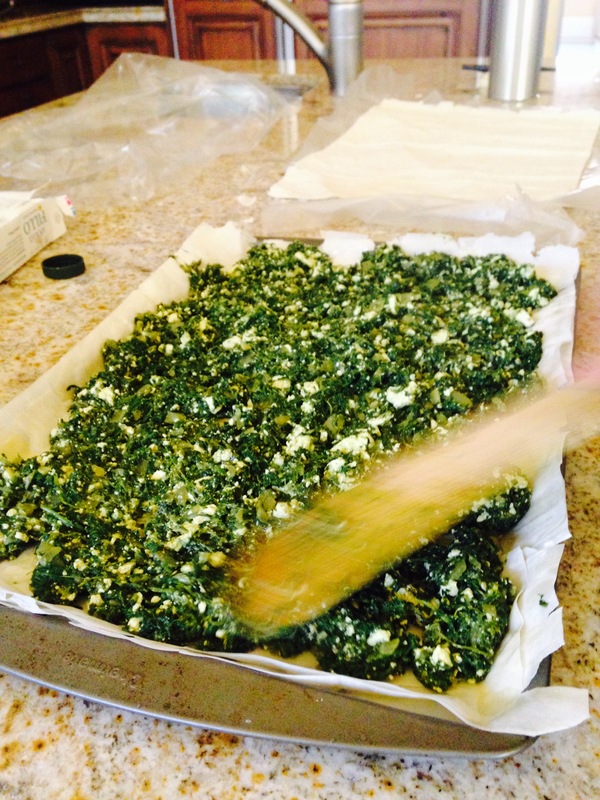 Spanakopita is a spinach / cheese lover’s heaven. 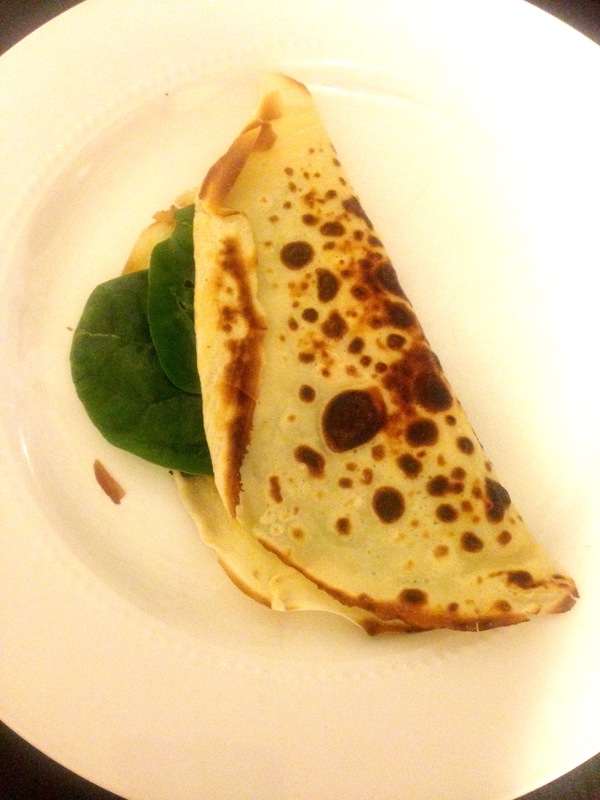 The flaky texture of the outer filo (also spelled “phyllo,” a thin unleavened dough used in Middle Eastern cuisine) allows one to fully indulge in the warm, soft spinach / cheese filling. 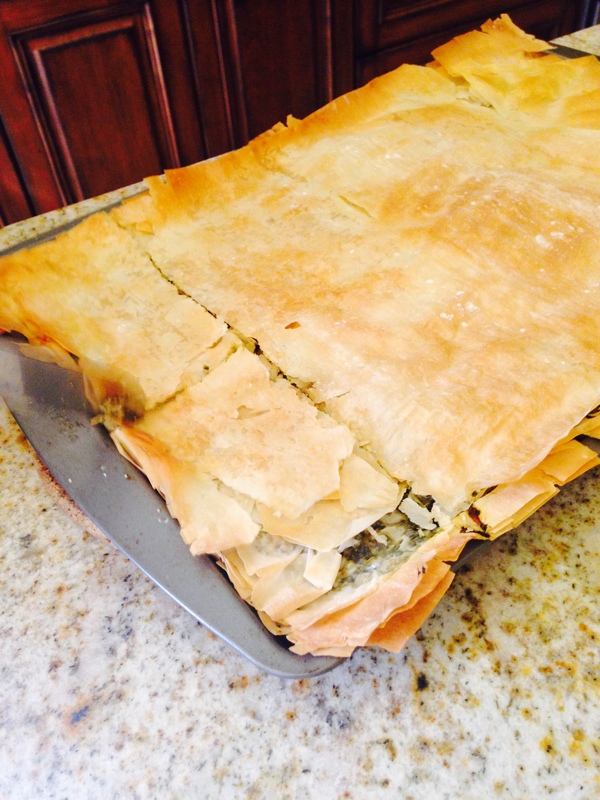 I often find that the taste of inner fillings gets masked by the bread on the outside, but that’s definitely not the case with spanakopita. 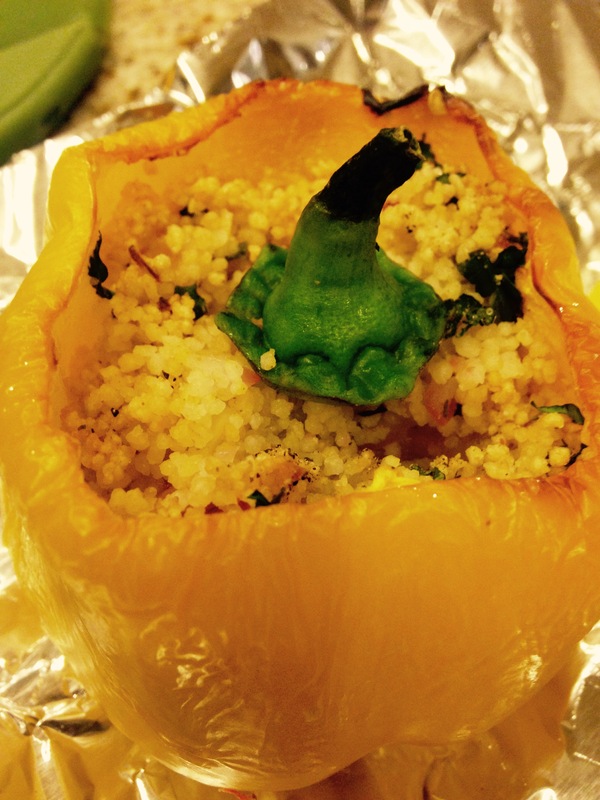 I was pleasantly surprised by how easy it was to make this dish. 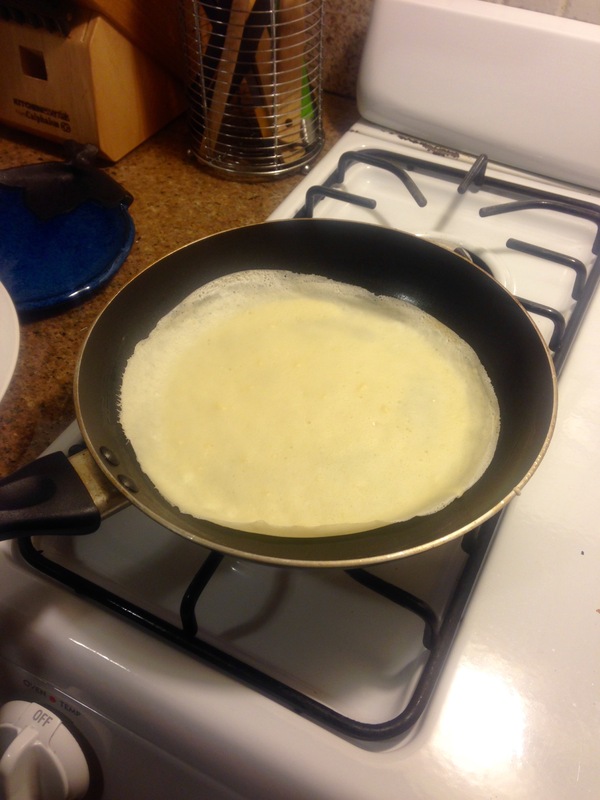 We used filo dough from Trader Joe’s (it usually comes in a rectangular box kind of like aluminum foil) and first prepared the filling. Eyeball how much spinach you’ll need (if you always have extra, it’s a tasty snack on it’s own), and sautee the spinach in olive oil with salt until cooked. Make sure you get rid of as much water as possible. 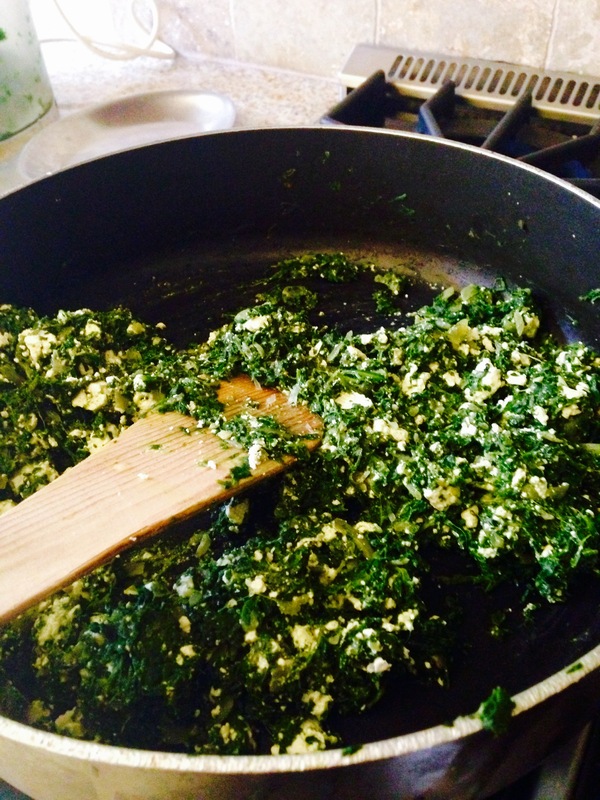 Add in crumbled feta cheese to the cooked spinach and mix thoroughly. 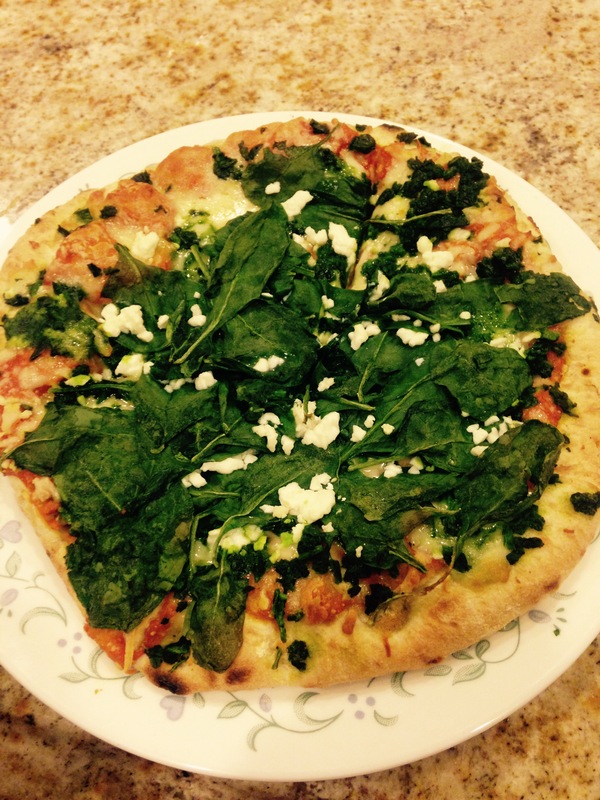 How much cheese you want to use is dependent on your personal taste! 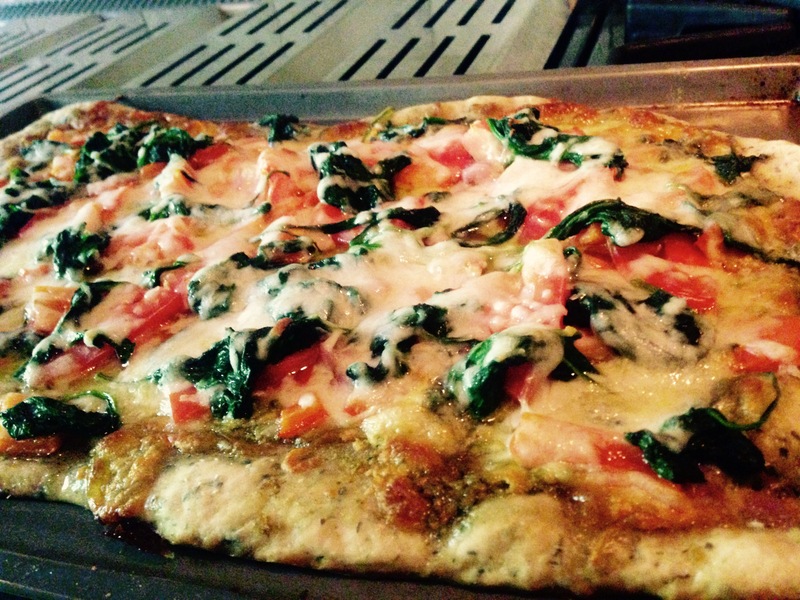 Once your filling is ready, oil a rectangular baking pan lightly so that the dough doesn’t stick. 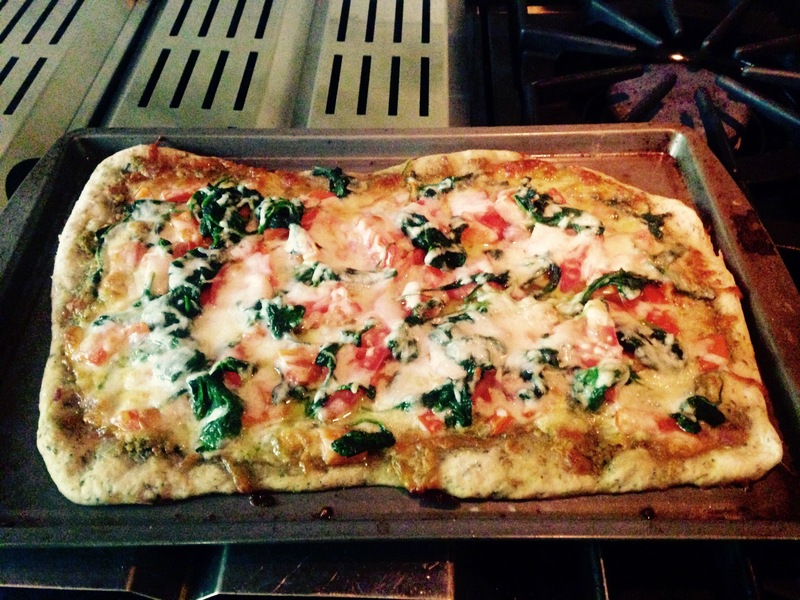 Peel off a layer of the dough (this is probably the most difficult part) and place on the sheet. Try your best to minimize tears in the dough, but if it breaks in some places, don’t worry and just try to layer the dough as much as possible. Once you’ve got the first layer down, oil the edges and center (this time to make sure that the two layers of filo will stick together). 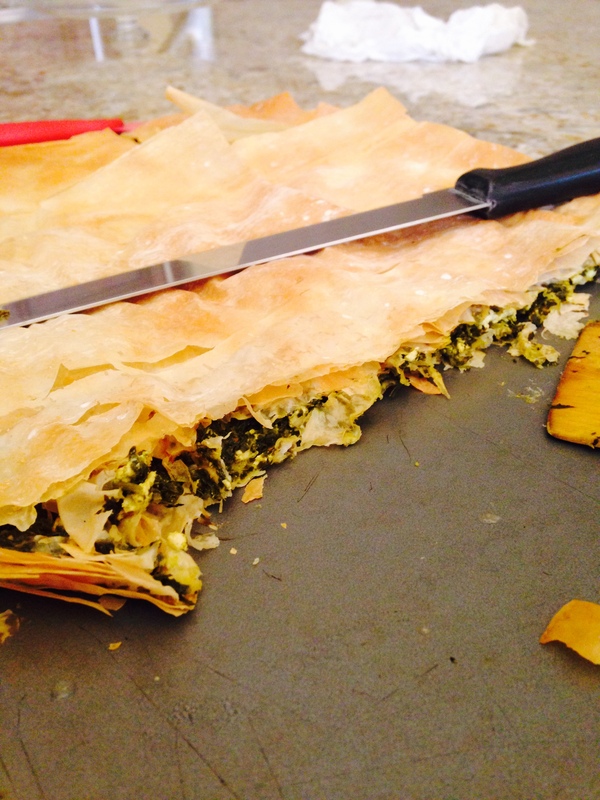 Take another layer of filo and place on top of the oiled first layer. We stopped at two layers, but you could add more if you’d like. Layer the filling evenly across the dough, and line two more layers of filo on top like you did before using enough oil between layers. All you’ve got to do next is place in the oven at the temperature / time requirements that are given on your box of filo (usually 40-45 mins at 375 degrees) and you’ve got a delicious eat!